The Waterman is the leading bulk water delivery company in the Wisconsin and Illinois water supply industry delivering bulk fresh water on time every time. Supplying southeastern Wisconsin and the northern Illinois counties of Lake and McHenry with reliable bulk water delivery for swimming pools, ponds, landscape irrigation, and commercial construction The Waterman brings expertise and helps with the project every step of the way. With headquarters in both Milwaukee, WI and Fox Lake, IL all your Wisconsin and Illinois water supply needs are just a phone call and a few hours away. Same day next day water delivery service is available at no additional cost. The Waterman is equipped with 18 massive water delivery systems, otherwise known as full size tankers. Each water truck comes standard with 500 feet of 4 inch hose, that’s 1/3 of a full size tanker just to fill the hose. Our water delivery tankers when necessary are capable of parking as far ½ mile away to eliminate property damage. Our full size tankers can deliver 6,500 gallons per load in Wisconsin and 5,000 gallons per load in Illinois. Restricted water delivery jobsite access is not a problem for The Waterman. When jobsite access is tough, The Waterman sends “Squirt” our 28 foot ‘short’ tanker. Squirt’s superior maneuverability allows The Waterman to deliver when the site simply doesn’t allow a large tanker access. As the single largest Wisconsin bulk water delivery service and with our huge water deliver fleet The Waterman is able to better serve our bulk water supply customers delivering quality bulk water on schedule. If you need your swimming pool filled, even your blow-up swimming pool, The Waterman is the place. From dunk tanks to hot tubs to Olympic size pools, no water delivery job is too big or too small for The Waterman. For Wisconsin and Illinois bulk water delivery The Waterman is the best choice. The Waterman supplies potable drinking water for major outdoor concerts and festivals throughout Wisconsin and Illinois. The Waterman offers 24 hour emergency dispatch services, to quickly resolve any emergency or immediate water delivery needs you have. The Waterman is conveniently available Monday through Saturday 7 am to 6 pm for all your bulk water delivery needs at no extra charge. Contact The Waterman today to get a quote and schedule your next Wisconsin or Illinois bulk water supply delivery. The Waterman is the Wisconsin’s and Illinois’s finest H2O. The Waterman supplies bulk water for swimming pools of all types from blow-up pools and hot tubs throughout southeastern Wisconsin and northern Illinois. The Waterman delivers bulk water for any size pool from kid’s swimming pools to large in-ground swimming pools to basic swimming pool top –offs when pool water is low. The Waterman works with many swimming pool installers on a daily basis and is fully knowledgeable and prepared to help with every aspect of your swimming pool installation. Directions can be left with The Waterman dispatchers requesting drivers to pull vacs for instances when you are unable to be present. The Waterman is here to assist you throughout the entire swimming pool water installation process to get your swimming pool up and running just in time for you to fully enjoy the warm summer weather. Although residential swimming pool water delivery is our core water supply service, The Waterman is also capable of even the largest swimming pool delivery jobs supplying swimming pool water to many health and country clubs throughout Wisconsin and Illinois. For all your Wisconsin pool bulk water needs, contact The Waterman today and we will gladly assist you in filling your swimming pool. The Waterman is the primary Wisconsin bulk water supply company, delivering quality pond water in Wisconsin and Illinois.  Our Wisconsin bulk water supply company has the resources necessary to fill any sized pond, indoors or out, with quality pond water throughout Wisconsin and Illinois. Waiting for nature to fill your outdoor water pond can sometimes become lengthy leading to soil erosion. With our pond water specialists and the use of multiple bulk water supply vehicles, your Wisconsin water pond can be quickly filled preventing this common issue. Let The Waterman assist you in getting the most out of your Wisconsin water pond by professionally filling your pond with quality bulk water creating a durable, more permanent man-made pond. Contact The Waterman , your Illinois bulk water supplier, today for a pond water supply quote and to get started on creating your next Wisconsin water pond. The Waterman is the leading Wisconsin potable water supplier, providing many Wisconsin and Illinois outdoor events with quality potable drinking water. The Waterman supplies many major Wisconsin and Illinois outdoor events such as concerts, festivals, and campgrounds with the necessary potable drinking water. The Waterman works in conjunction with the DNR and adheres to all guidelines in order to deliver quality potable drinking water. All of our water tankers are sanitized and each load of potable drinking water is chemically tested for chlorine levels (PPM) and adjusted accordingly to comply before potable drinking water is delivered. This process requires approximately six hours ensuring delivery of quality potable drinking water. Contact The Waterman, your Wisconsin bulk water supply specialists, today for a quote on quality potable drinking water delivery for your next Wisconsin and Illinois outdoor event. The Waterman is the primary Wisconsin Irrigation water supplier for all your Wisconsin landscaping irrigation needs. The Waterman is your source for lawn, tree, or shrub irrigation throughout Wisconsin and Illinois. The Waterman has the resources to provide landscaping irrigation to pre-irrigation system setup commercial landscapes. At The Waterman, we are able to provide landscape irrigation to virtually any sized commercial landscape development. Our standard water cannons are capable of reaching up to 150 feet from our bulk water supply trucks. For larger landscape irrigation requirements, The Waterman is equipped with additional hoses capable of exceeding a radius of 600 feet. For all your Wisconsin landscaping irrigation needs, contact The Waterman the leading Wisconsin irrigation water supplier. The Waterman is the main supplier of bulk water to many construction sites throughout Wisconsin and Illinois. From temporary fire protection for new buildings to hydro testing for pipelines to dust control at road construction sites to temporary maintenance of water for municipalities, The Waterman supplies bulk water for all your Wisconsin and Illinois construction site needs. The Waterman also supplies many Wisconsin and Illinois construction sites with holding tanks ranging from 300 gallons to 21,000 gallons. Contact The Waterman today for more information regarding the construction site water services we provide and one of our bulk water supply specialists will be glad to assist you. The Waterman is the leading Illinois bulk water supplier providing water supply services such as swimming pool water supply, pond water supply, potable drinking water supply, landscape irrigation supply, and construction site water supply throughout southeastern Wisconsin and northern Illinois. The Waterman has locations in both Milwaukee, WI and Fox Lake, IL. The Waterman is equipped with some of the most experienced dispatchers who are utilizing one of the most technically advanced electronic systems for proficient bulk water delivery scheduling. Our dispatchers are able to calculate the amount of water required for your swimming pool and provide you with a quote accordingly. The Waterman is equipped with 18 full size tankers each equipped with 500 feet of 4 inch hose and one 28' short tanker we call "Squirt.” Our Wisconsin water trucks are capable of holding up to 6,500 gallons. The Department of Transportation prohibits our trucks from carrying over 72,000 GVWR in Illinois, limiting our Illinois trucks to only 5,000 gallons. Job Opportunities are available for Wisconsin & Illinois Bulk Water Delivery drivers. If you have tanker endorsement and can meet all Federal Motor Carrier guidelines with a valid Commercial Driver License apply today. We are HIRING!